Former Starbucks CEO Howard Schultz gives a speech at Miami Dade College in Miami, Wednesday, March 13, 2019. Former Starbucks CEO Howard Schultz on Wednesday offered his vision for what an independent presidency could look like, even though he still hasn't decided whether to enter the White House race himself. In a speech at Miami Dade College, Schultz laid out his plans for protecting democracy and free enterprise and sought to show how a president elected outside the two-party system could repair the current dysfunction in Washington. Schultz also vowed to sign only legislation that has bipartisan support and to not put forward any Supreme Court nominee who cannot be confirmed by two-thirds of the Senate. "The courts have become yet another battlefield in the ongoing war between Democratic and Republican leaders," Schultz said. "These battles have undermined our faith in the rule of law and the impartiality of the entire judicial system. All of this has to change." Schultz also said that he would assemble a Cabinet that includes members from across the political spectrum and consists of a larger share of women than that of any previous president. 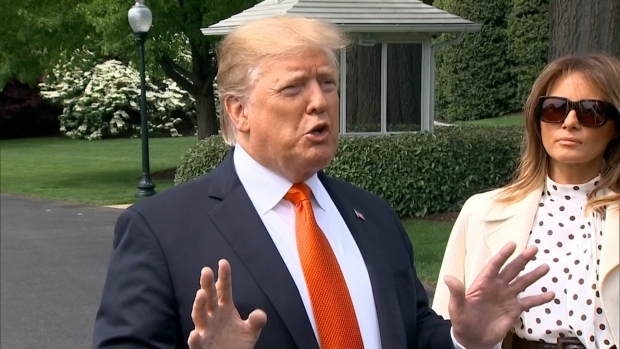 In an explicit contrast to President Donald Trump, Schultz argued that he'll nominate "the most qualified people, period" and that he won't "humiliate them on Twitter or make decisions so outrageous that they feel compelled to resign in protest." Trump's Cabinet has been plagued by regular turnover and scandal. The 65-year-old billionaire also highlighted his difficult upbringing in a New York City public housing project. 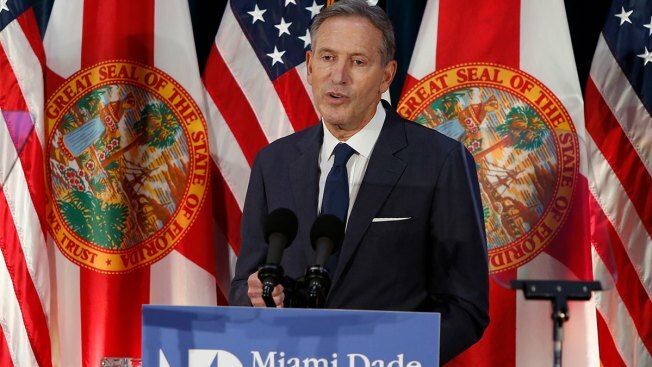 Rothschild Toussaint, an economic major who attended Schultz's speech, said the former CEO's centrist message is one that could unify the country during a time of extreme divide. Although he is a registered Democrat, Toussaint, who immigrated to the U.S. from Haiti, said he is "open to all possibilities" for the upcoming presidential election. Schultz has been exploring a potential independent candidacy for months, to the dismay of some Democrats who say that an outside independent candidacy could have a spoiler effect, handing Trump a second term. Schultz, a lifelong Democrat who recently registered as an independent, has said he would do nothing to help re-elect Trump. He has said that Democrats and Republicans are equally to blame for repelling voters at the center of the political spectrum, and he has argued that an independent candidacy like his could re-engage them.